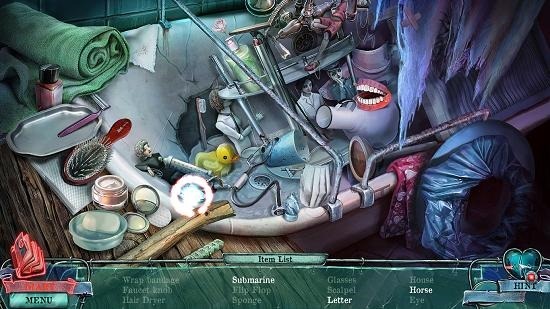 Mind Snares: Alice’s Journey is a free hidden object game app for Windows 8 and 8.1. When you run the app on your device, you can see the game’s video which gives you a brief insight into the game’s details. 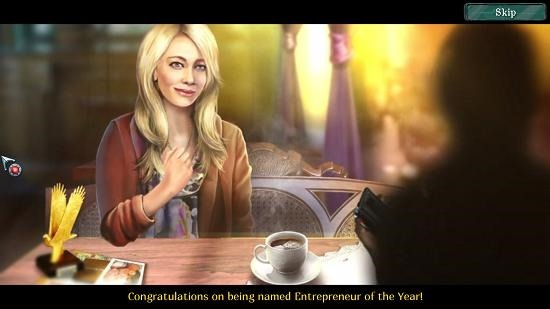 Once you are past the game video – there are two ways to do this, you can either sit through and watch the entire video or you can click anywhere on the screen or on the Skip button at the bottom of the screen, you will be presented with the main menu of the game where you can create your player profile by entering your name and then clicking the OK button. The main menu allows you to start the game by clicking the play button, and then you can choose to start the game by selecting the difficulty level of the game. 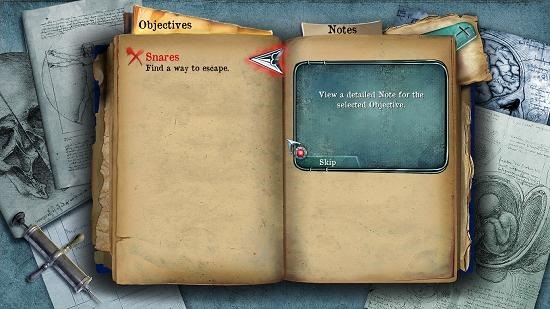 Mind Snare: Alice’s Journey is available for free from the Windows App Store. Upon launching Mind Snares after its installation on your device, you will be taken to the below screen. 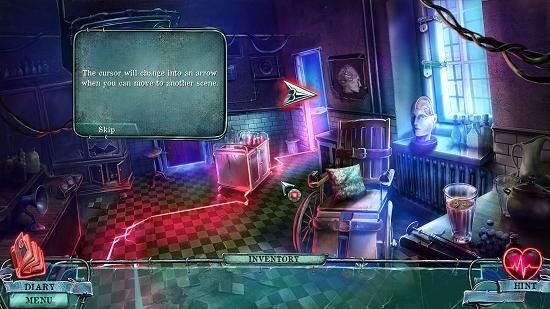 As discussed in the intro of this review, the above screen is the game’s interactive video screen. You can see the subtitles at the bottom for the spoken language in the video if you have trouble understanding the dialect. Clicking on the Skip button or watching the entire video will then take you to the main menu of the game which is shown below. 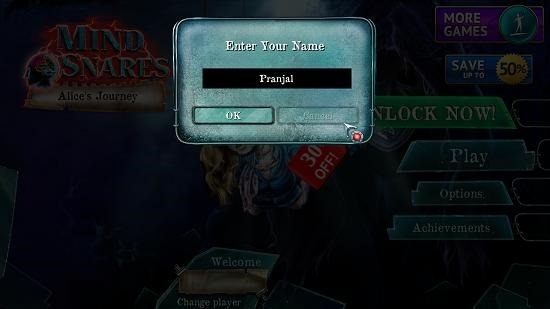 Here you will be asked to type in your name in the text field which appears on the screen. Click Ok and then click on the Play button in the main menu which follows. 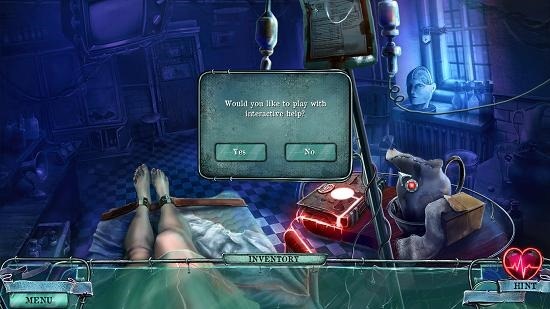 You can then choose the level of difficulty of the game and once chosen you will be taken to the tutorial of the game. The tutorial of the game is choice base –i.e., you get to choose if you want to see it or skip it altogether. You can see the gameplay interface above. The game is based on clicks on active locations, which means that you have to click on objects or locations to interact with them. As I opted for the tutorial, I am shown guided arrows which show me where I have to go. If you skip it, you won’t be shown these guides. You can see your journal and the hint button at the bottom left and right of the screen respectively. Clicking on the journal loads up objectives. 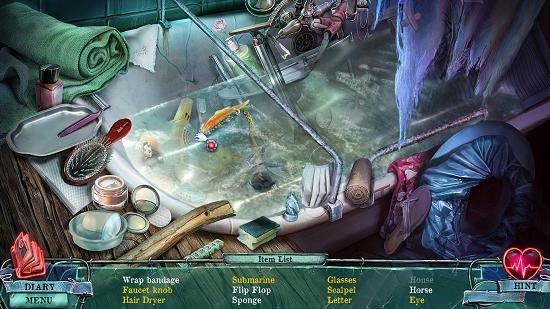 The game has certain levels where you have to locate the hidden objects. One of these level is shown below. Objects can be found by simply locating them by clicking on them in the mess shown on the screen. The object upon being correctly found will be struck off from the list at the bottom. You can use a hint from the bottom right of the screen if you are stuck somewhere and it will show you the location of any random object on the list at the bottom of the screen which hasn’t been found yet. You can see the hint in action in the screenshot above and can see that a random object has been circled which tells its location. 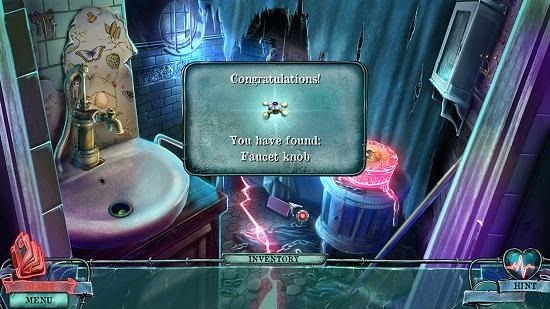 Upon completion of a hidden object level, you get certain rewards. These can be used later to solve the mystery further. This wraps the main features of Mind Snares: Alice’s Journey for Windows 8 and 8.1. Mind Snares: Alice’s Journey makes for a brilliant game with awesome graphics that you can experience for free on your device by heading over to the link below and installing it on your machine! Get Mind Snares: Alice’s Journey.